Welcome to the Verdon area, a land of delicate scents and sunny landscapes; a world of magic where water and rocks blend according to the mysterious alchemy of nature. We offer you an exploration of this splendid natural environment for a few hours or a few days, alone or in a group. The guides at ABOARD Rafting, after ten years' experience on many of the world's famous rivers such as Chile's "rios", the mighty Zambezi or the Moroccan wild waters, will allow you to discover the Verdon, this other wonder of the world, safely, and in a friendly atmosphere. 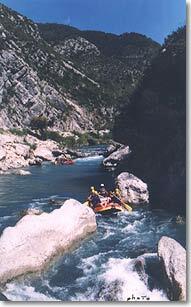 a taste of white-water in the Verdon. 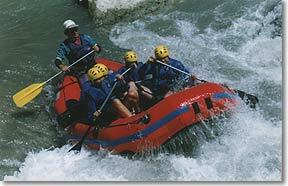 The most beautiful trips on the Verdon selected by ABOARD Rafting.